Corra is proud to sponsor the 2015 Demandware XChange Lunch at the Aria Resort & Casino in Las Vegas. Join us on April 14th for lunch refreshments and a special sweepstakes event. Attendees who submit their business cards at the luncheon entrance earn a chance to win one of three great prizes—a weekend getaway with Jetsetter, a Sonos HiFi speaker, or a case of Naked Wine—courtesy of Corra. Demandware Xchange is an annual conference that offers retailers and LINK Marketplace partners the unique opportunity to come together as a community and exchange fresh ideas, insights, innovations, and inspiration. Corra is proudly one of Demandware’s Premier Solutions Partner, specializing in 24×7 Support, Implementation/Integration/Delivery, and Optimization. For more information about Corra and Demandware partnership, visit corra.com/platforms/demandware. For more information about Demandware XChange, visit DemandwareXChange.com. 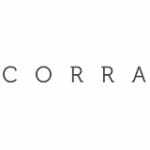 Corra is a New York and Los Angeles based digital agency that provides high-performing ecommerce solutions for fashion, lifestyle and beauty brands and retailers. With a team of 100+ ecommerce strategy, design and technology professionals, Corra delivers rich shopping and buying experiences across all channels and devices. Corra is trusted by retailers of all sizes to implement and support Magento Enterprise, Demandware and hybris platforms.